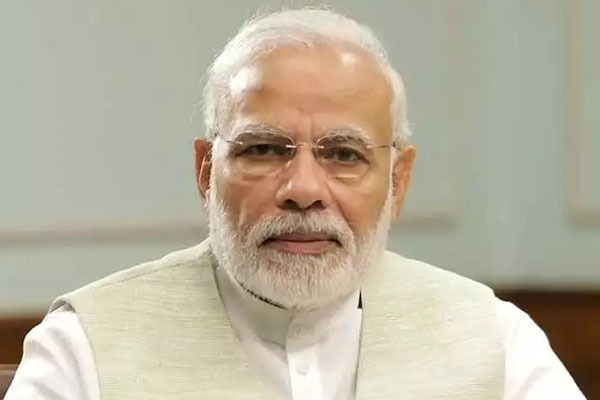 Bolangir: In his third visit to the State in three weeks, Prime Minister Narendra Modi today unveiled and laid foundation stone of a range of projects including inauguration of Balangir-Bichhupali railway line that has been built at a cost of Rs. 115 crore. In Bolangir, PM Modi today laid the foundation stone for permanent building of Kendriya Vidyalaya in Odisha’s Sonepur at an investment of Rs. 15.81 crore. He also inaugurated renovation and restoration works of the Nilamadhav and Siddheswar temples in Odisha’s Boudh district. The PM also dedicated to the nation a Multi-Modal Logistics Park (MMLP) in Jharsuguda. The park built at a cost of Rs 100 crore will facilitate EXIM and domestic cargo including Private Freight Traffic (PFT). The PM also unveiled electrification of 813 km of Jharsuguda-Vizinagaram and Sambalpur-Angul lines done at a cost of Rs 1,085 crore. It will ensure seamless rail connectivity on the line.